Christophe Deschamps was watching a basketball game with his wife and three children when he received an alert on his smartphone. The home security system told him something was wrong, so he quickly accessed the video feed on his phone. “I could see smoke,” he says. Their home, in the Wallonia region of southern Belgium, was on fire. 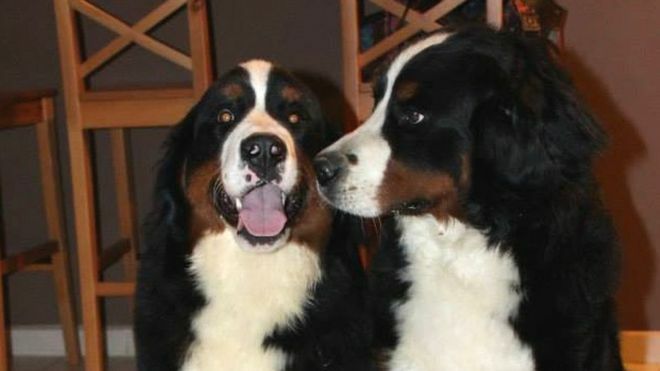 The family’s thoughts immediately turned to their two Bernese Mountain dogs – Lisbonne and Hawaii – locked in the garage. A terrible family tragedy was threatening to unfold. The video images now showed the smoke getting thicker and brightness coming from flames off-camera. The fire alarm had already alerted the firefighters, so the Deschamps family rushed home as quickly as they could. Fortunately, Lisbonne and Hawaii were saved with just 20cm of air left to breathe above the floor of the smoke-filled garage. But the fire damage to the house took six months to repair. The dogs’ lucky escape was due to the indoor security camera Christophe had installed. The smart camera, made by Netatmo, sends alerts when it hears an alarm – whether smoke, carbon monoxide or security – and automatically starts recording. It is also one of the first smart home cameras featuring face recognition technology capable of distinguishing between people it knows and strangers. Parents working late can receive alerts when their kids arrive home, for example, and will receive an “unknown face seen” alert if someone breaks in. The French company says evidence collected by its smart cameras has led to the successful prosecution of burglars. For more information on how Smart Home Technology can provide home safety via a secure and easily controlled environment for you, your family and your pets contact TechHom today.